I have been starting to sort out all of the baby clothes we have. I have decided to keep all body/sleep suits in the chest of drawers and all outfits e.i leggings and tops, dresses etc on hangers in the wardrobe. 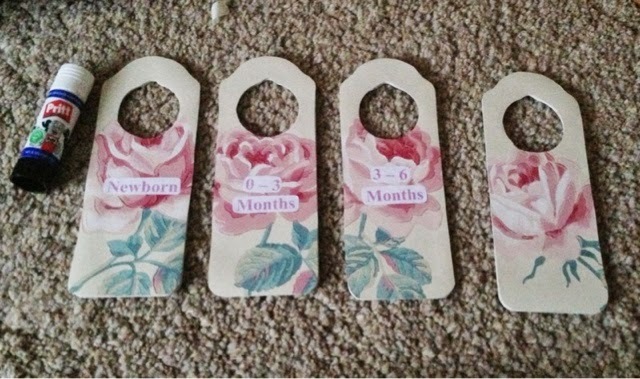 It’s safe to say that the baby already has quite a lot, and we haven’t even had the baby shower yet! 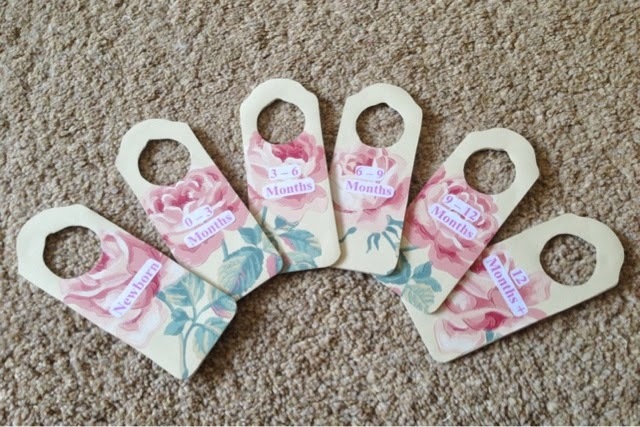 Firstly, I bought some door hangers from ebay. These were £4.99 for a pack of 10. 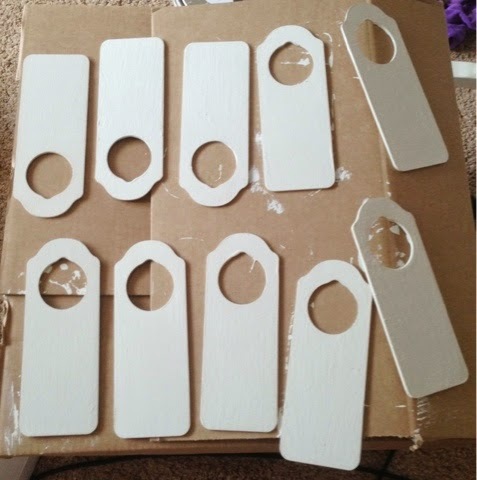 I painted the door hangers on one side and left them to dry overnight. Next it was time to choose a pattern for the divider. 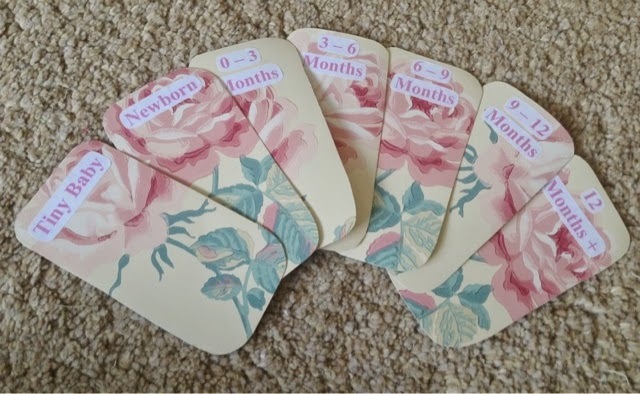 I chose to use the rose wallpaper that I have been trying to incorporate into the nursery in different places. 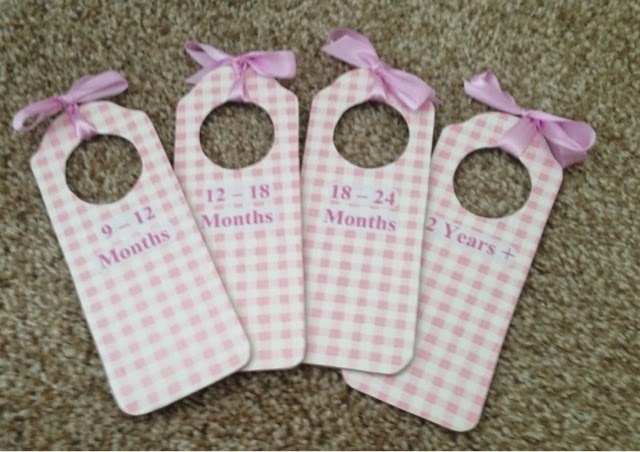 I also did some pink gingham ones for a friend as a gift. I used the dividers as a template and drew round them onto the back of the paper. 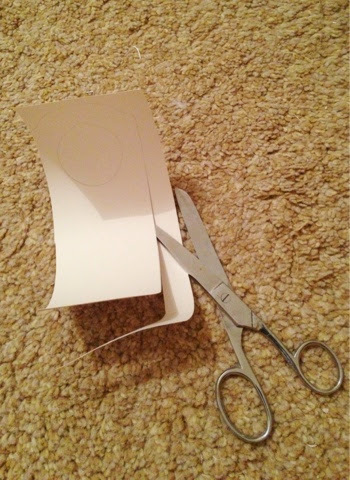 I then cut out the paper to the correct size. 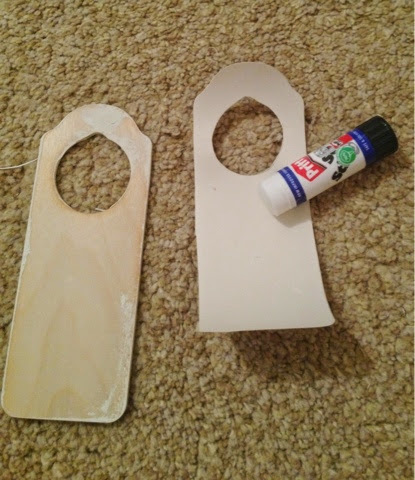 Once I had cut out the paper to the correct size I glued them on to the unpainted side of my dividers. I then started to label them. 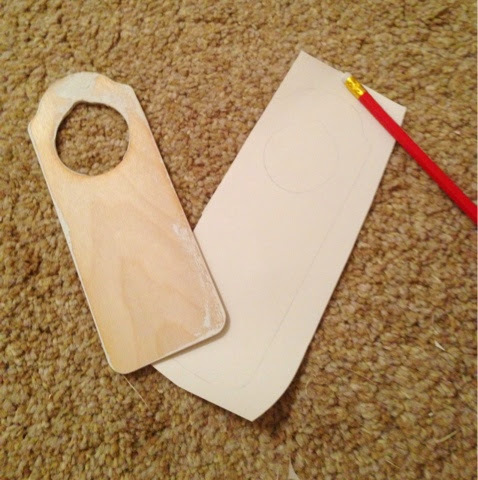 I had printed the sizes out on to label paper so I could just cut out the clothes size and stick them on. 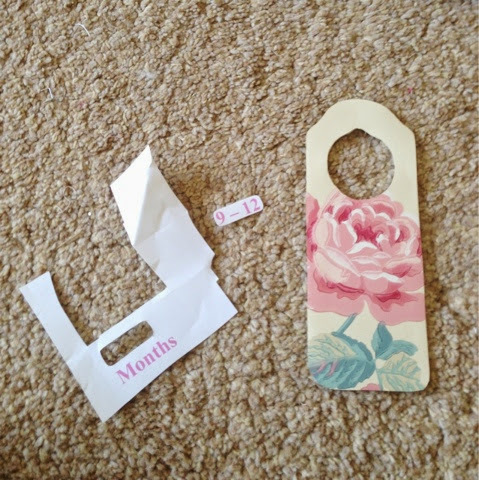 On the dividers for the baby’s nursery I started at Newborn and went up to 12 Months+. 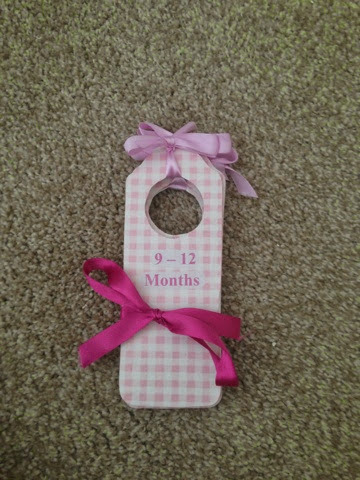 For the dividers I made for my friend I started at 9 – 12 months as her babyis already 9 months old (where has the time gone! ?and did three others at 12 – 18 Months, 18 – 24 Months and 2 – 3 Years. Here is a picture of my friends all wrapped up to give as a gift. I also made some matching dividers for my chest of drawers too!